The absolute best part of shopping locally is being able to explore our communities, walk from store to store and have a great shopping experience. Take advantage of what our vibrant communities and downtowns have to offer! As you sit down to make your holiday shopping list this year, remember all the local businesses that can help you out. Local businesses can offer you a unique selection of gifts plus there are many other benefits when you shop at the small and independent businesses in our communities. 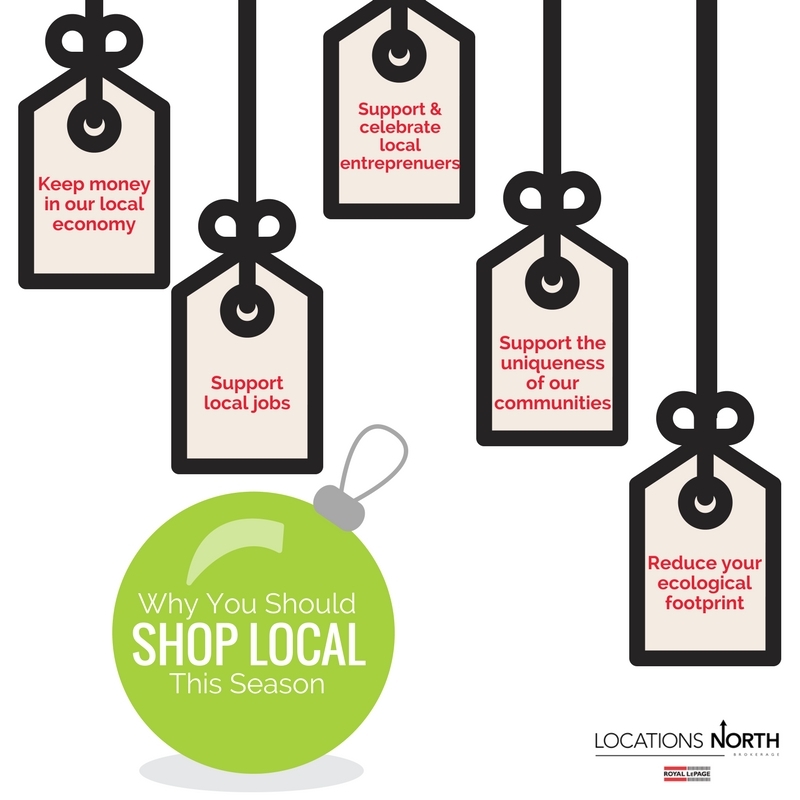 When you shop local, the money you spend goes into our local economy. Your money helps support local businesses, local jobs and a network of local businesses that our local shops depend on. Small businesses are the heart and soul of an economy. There’s no better way to show your support to local entrepreneurs than by giving them your business. It takes a lot of passion, innovation, hard work and dedication to run your own business, so let’s take the time to celebrate those in our community who have built something amazing. When you shop at local stores, not only will you find amazing gifts for everyone on your list, but you can feel great about where your money is going. Along with supporting business owners and our economy, shopping local supports the additional people hired by a small business owner. These jobs are important, plus your business helps support all the local services (and jobs) each small business depends on – banks, accounting firms, delivery services, suppliers and so on. Giving a local gift packs a lot of character! From local storefronts to vibrant markets, you’ll be able to find the perfect gifts without visiting a big box store. It’s so fun to watch a friend open your gift then tell them all about the great local shop you bought it from! When you shop local you are helping to reduce your environmental impact on the planet. Local purchases rely less on transportation, reducing pollution and your impact on the environment. If you’ve been on a stand up paddle board, then you know how much fun it is. It’s an amazing workout (without feeling like it), it’s a great way to enjoy the natural setting. Last Summer you told us how much you love the Georgian Bay lifestyle, and we’ve concluded that there is never a dull season! There are so many reasons to love each season.